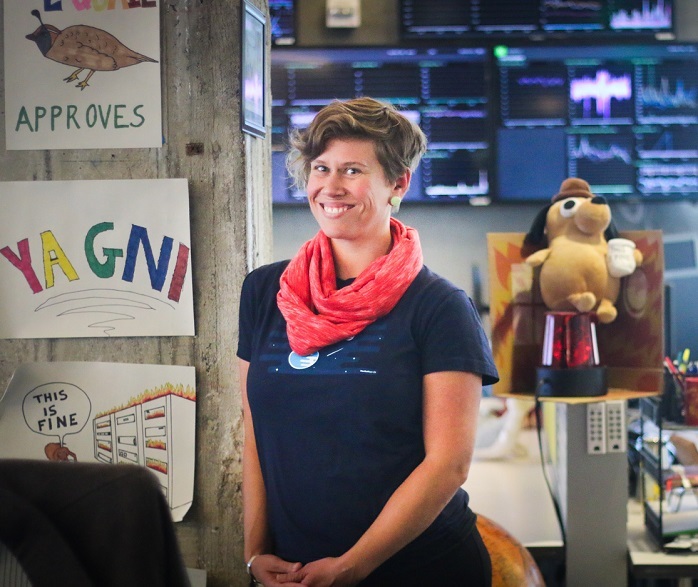 I’m Jenni Snyder and currently work as Manager of the Database Reliability Engineering (DRE) Team at Yelp. And, I got into databases by accident. After graduating from college, my first job was as a software engineer. As I remember it, I got a desk in the corner, and under that desk was another computer. I hit a power strip switch as I went to plug in my workstation on my first day. This cut power to the other machine, which turned out to be the database host for their development environment (running Sybase). My new boss came over and walked me through starting it back up. After that, it became pretty clear to me that I preferred systems administration over development and was put in charge of our database migration scripts. I figured out query and server tuning and later configured and deployed a more complicated environment using Oracle. I got my first official MySQL Database Administrator (DBA) job about four years later. My degrees are in Sociology as well as Computer Science, so I have always been interested in social networks and media. I have worked for Tribe.net and the Cisco Media Solutions Group, and have been with Yelp now for almost seven years. Percona: Your tutorial is titled The Accidental DBA. What do you mean by this term, and how did you arrive at it? I explained this a bit above: few people seek out a career in database administration early in their career. One of the benefits of MySQL and other open source relational databases is that they’re relatively easy to get started with. You don’t need a DBA, DRE, or another owner right away. However, with success comes growth, and any open source databases with default configuration can quickly become slow if not tuned for your workload. As a result, I think that many DBAs and DREs end up in their position by being the right person at the right time, being curious, and loving it. Percona: What are some of the most important things an “Accidental DBA” needs to know right away? I’d say that they are how to make sure that MySQL is running, interpreting any errors found in the client or server logs, and how to monitor MySQL. This is going to be a very interactive talk and I’m hoping for lots of questions and a discussion. Everyone’s experience is different, and if I don’t include something in my slides, that doesn’t mean we can’t cover it! Percona: What are three important database management lessons a good DBA needs to master? Percona: Why should people attend your tutorial? What do you hope people will take away from it? People should come if they’re interested in a broad overview of running MySQL. They should want to learn where they can make the most impact while tuning MySQL, how to avoid common problems, and discover some great open source tools that will make their jobs easier. Unfortunately, Percona chose to schedule Shlomi Noach’s Orchestrator High Availability Tutorial at the time of my talk, so I’m going to miss out on the number one tutorial I wanted to see! 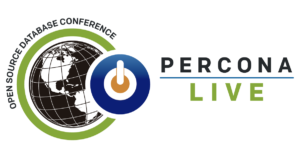 Want to find out more about this Percona Live 2018 featured talk, and becoming an accidental DBA? Register for Percona Live 2018, and see Jenni’s tutorial talk The Accidental DBA. Register now to get the best price! Use the discount code SeeMeSpeakPL18 for 10% off.